Middle Atlantic's online configurator was recently voted *Best Design Services by the readers of SCN magazine. 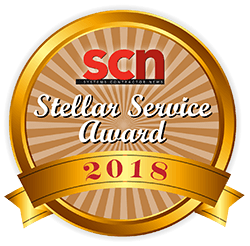 This award, the Best Website Dealer Portal, and other Stellar Service Awards were announced in SCN's 2018 Spring Special Issue. The 'Your Design Co-pilot - Best Design Services' Platinum award is not only exciting for Middle Atlantic, it's an honor celebrated by everyone here at Axonom. 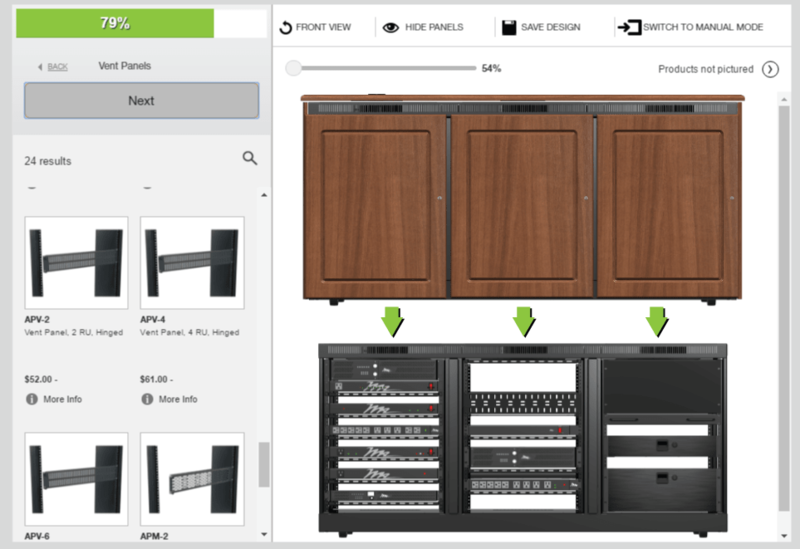 Middle Atlantic Products collaborated with our team to develop a visual rack configurator with drag-and-drop technology. The vision was to empower the customer to interactively create, quote, and order AV racks and enclosures on Middle Atlantic's website. Over the years, the Rack Configurator has experienced much success. Its rapid user adoption, the addition of more than ten thousands components, and the expansion into new product lines are a few notable milestones. Much of the configurator's success can be attributed to the vision and commitment from both Middle Atlantic and Axonom. Perfecting the user experience is an ongoing process but it currently has a solid foundation. Middle Atlantic's website uses single sign-on (SSO) technology for users to quickly and easily access design tools, custom rackshelf search, and technical documents. Available 24/7, Middle Atlantic’s Design Tools allows users to quickly and efficiently select the right products and accessories for any system. Built-in intelligence ensures only components that will fit can be selected and makes smart recommendations for ensuring reliable systems. Interactive renderings give users a feel for what the system will look like as it's being built in real time. Upon completion, users can generate a customized customer quote or order directly from the tool. *The 'Your Design Co-pilot (Best Design Services)' award was voted by Systems Contractor News readers and vetted by a panel of integrators and consultants.